Chances are that your first experience on Maui will be when you land at the Kahului Airport. Kahului is the hub of activity located in the valley between the West Maui mountains and the slopes of Haleakala on the South side of Maui. 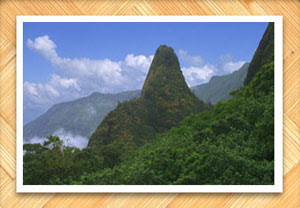 The closest towns are Wailuku to the west and Paia to the east. Looking at Kahului from high altitude you’ll note that it looks like an actual city where most of the other towns on the island become just small neighborhoods by comparison. It is the most “urban” town on Maui, and you might overhear locals saying, “I’m going into town” referring to Kahului. Kahului is where most of Maui’s residents live and work due in large part to the airport, heliport, seaport, malls, warehouses, and schools. Most of the island’s car rental facilities and large box stores such as Costco, Kmart and Walmart are located in town which makes Kahului very busy almost every day.